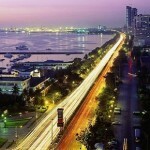 The Philippines is becoming one of the strongest economies in Asia. While other big economies in the region are facing a slowdown –including China- the Philippines economy grew at a rate of 6.1 percent during 2014, making it the second fastest-growing country in the region. With such a growth, investigators in the Philippines report many more businesses looking for safe options to expand here. Over the past decades, economic and political misfortunes, coupled with some high-profile natural disasters, have kept the Philippines from taking its place among the region´s greatest economies. The high levels of corruption and an uncompetitive business environment had damaged the economy, keeping investment levels very low and forcing Filipinos to leave the country in the search for a job and a better future. However, this all seems to be left behind in the past and now the country has a promising future. The Philippines is now becoming the center of attention of companies and investors not only in Asia but in the whole world. Many companies are now looking for new opportunities in the Philippines as the country has been classified one the healthiest emerging markets in 2015. 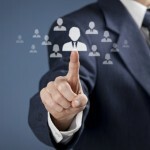 Outsourcing has become one of the main drivers of the economic growth, especially in the information technology (IT) business. The rapid growth of the outsourcing services has given a boost to the economy, not only because it is employing many people directly, but also because there has been a growth in demand for commercial floor space, and all related services. Within these related services are private investigations in Manila. Kellie Greenwood, Director of Due Diligence at Philippine PI, says that now that companies are looking to expand or outsource their services in the Philippines, due diligence investigations have risen exponentially. 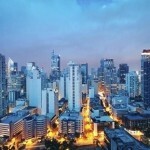 “Investors and business developers know that the place to invest right now is the Philippines, but the scars of corruption are deep.” It is hard for any country to get rid of such a bad reputation, but many companies are eager to move on. Due diligence in the Philippines has become the best tool for all those who do not want to let opportunities run by, but still want to move forward safely. Other kinds of investigations are also helping business people stay safe and make better decisions, such as employment screenings which are at an all-time high in the country. Implementing these practices not only mitigates risks associated to doing business here, but also raises the bar on the country´s overall business performance. The Philippines has also been encouraging multinationals to develop factories within its borders, and altogether this has led to improved employment rates, thus more money in the streets, thus more consumption. The results are evident. 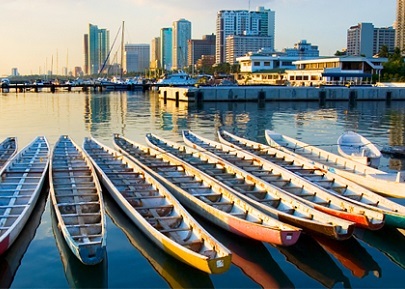 The outlook for the Philippines economy is promising. It is probably time to take a better look to what the Philippines can offer to your business, but before rushing in, get due diligence and take a deeper look into any new business deal! Maybe soon Filipinos won´t have to migrate to other countries to find a job. It´s good to see that finally things are going well int he Philippines. Hopefully all this new business will bring a lot of employment too. Due diligence is a critical process! Thanks for the post.